Buildings use a surprising amount of energy. 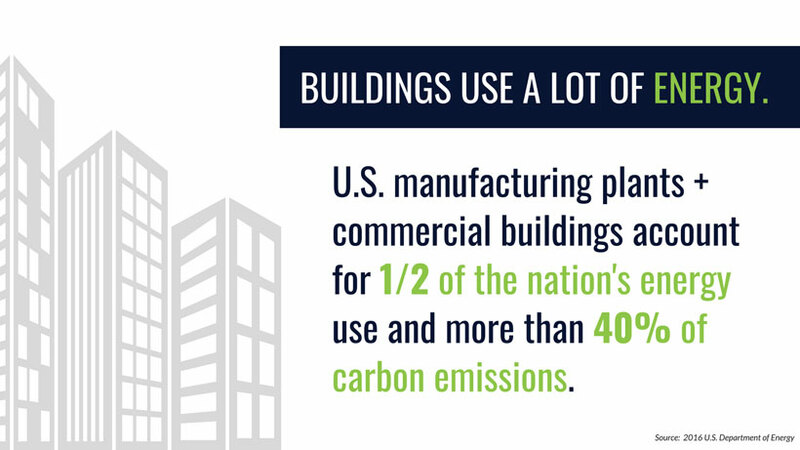 Manufacturing plants and commercial buildings alone account for 1/2 of the nation’s energy usage and more than 40% of carbon emissions according to the U.S. Department of Energy (DOE). In an effort to speed up adoption of more energy efficient building practices, increase the availability of financial backing and encourage collaboration across organizations the DOE started the Better Buildings Initiative. It’s now over 900 member organizations strong and aims to make the participating building portfolios 20% more efficient in the next 10 years. At the end of August over 3,000 energy and sustainability professionals across public and private sector organizations will make their way to Cleveland for the 2018 U.S. Department of Energy’s Better Buildings Summit & Energy Exchange. JadeTrack will be attending the summit! 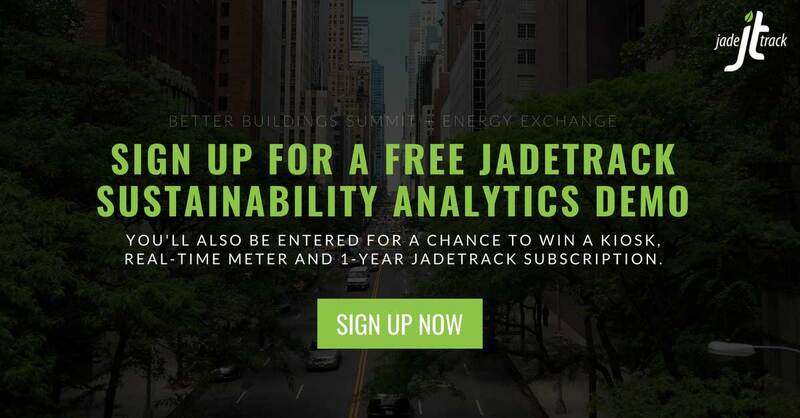 Sign up to enter for a chance to win a real-time electric meter, kiosk and 1-year subscription to JadeTrack when you meet with one of our experts for a free 15-minute sustainability analytics demo at the event. What is the Better Buildings Summit & Energy Exchange? The Better Buildings Summit & Energy Exchange will serve as a hub for industry leaders and partners of the Better Buildings initiative to share their proven strategies for success. You’ll be able to connect in real time with a range of cross-functional experts. Although once separate events, this year the Better Buildings Summit is combining with the DOE’s Energy Exchange for a week jam-packed with benefits for attendees that now will include more technical training sessions. With the Better Buildings Summit taking place right in JadeTrack’s own backyard up in northern Ohio we thought it was important to give a shout out to the Land! 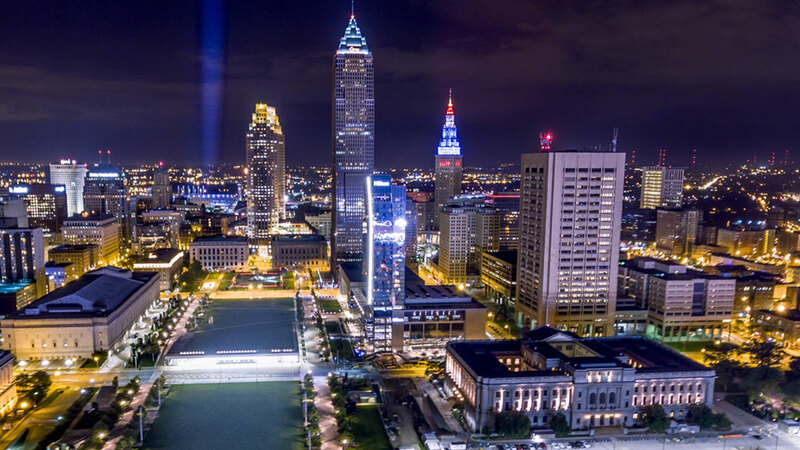 Most are familiar with Cleveland’s sports scene, it’s educational institutions or world-class health care system, but there’s more to discover if you know where to look! 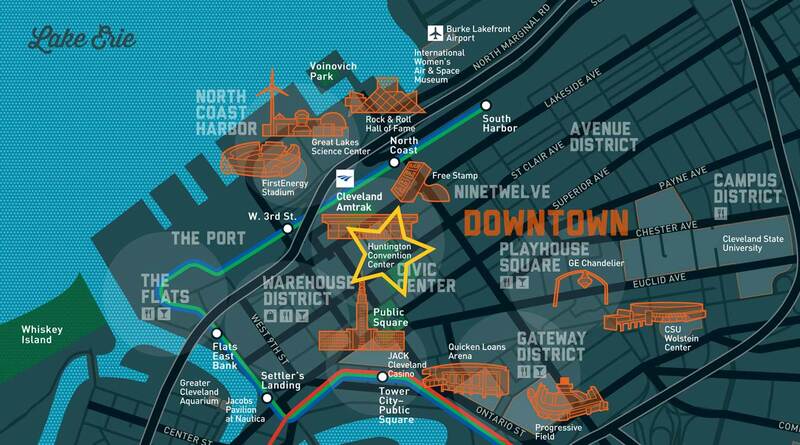 The summit will take place at the Huntington Convention Center which is conveniently located in the heart of downtown with plenty of restaurants and landmarks to explore nearby. Last year’s attendees came from a variety of sectors: commercial, industrial, public, multifamily, residential and data center. With a wide range of industries and sectors in attendance, there’s just about something for everyone on the agenda. All attendees are invited to meet, connect, and learn from one another on energy topics ranging from financing, planning, management, leadership, and optimization. While many industry leaders will be present, we don’t believe you have to be in a leadership position within your organization to start making an impact with better energy management. All motivated and sustainability-minded professionals can benefit from exploring future opportunities to advance energy efficiency best practices in their own organization. Not sure how to communicate the value to your team? The Better Buildings Summit provides resources such as a templated “Letter to Leadership” that can be shared with your internal leadership team highlighting key organizational benefits – download it here. You can expect to learn first-hand from leading organizations and experts about what energy efficiency strategies have been most successful. There will be plenty of opportunities to network with peers, make new connections and share your own best practices for conserving resources. We’ve compiled an overview of the key happenings for the week. Everything on the list includes links to help you find the specific Better Buildings Summit event page where you can learn more. There will be a panel of experts available throughout the week to answer any of your questions. You’ll be able to tap into their knowledge on different energy efficiency related topics, get guidance on any challenges you’re facing or discuss up and coming industry trends. Our very own Tim Rafio, Director of Energy and Sustainability Services will be presenting on real-time monitoring. Check out all the experts that will be available and at what times beforehand. Get access to over 200+ different technical training sessions throughout the week. Training sessions vary in the time commitment required. There will be scheduled meetups, speakers, and events that are sector specific – you can search the agenda by your specific sector at the link. There are still some spots for you to reserve your place to go on a tour of local Cleveland buildings that have successfully implemented resource saving measures. Stops on the tour include the Great Lakes Brewery, Northeast Re-Integration Center – Correctional Facility, Ford Motor Company and more! There will be trade show activities taking place at the convention center each day of the summit. Exhibitors include companies with products or services focused on resource management and conservation. Sign Up For A Demo And A Chance To Win A Free JadeTrack Subscription! Stop by and say hi to the JadeTrack team at booth 710. We’re giving away EVENT PRIZES. You can enter for a chance to win a real-time electric meter, kiosk and 1-year subscription to JadeTrack. 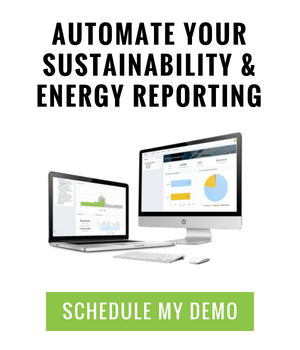 Sign up now to enter and meet with one of our experts for a free 15-minute sustainability analytics demo. We’re happy to provide guidance on your current sustainability or energy program and answer any questions!